Prominent & Leading Manufacturer from New Delhi, we offer heat shrinkable sleeves. Such sleeves are largely used in low voltage power applications to protect cable joints and terminations. 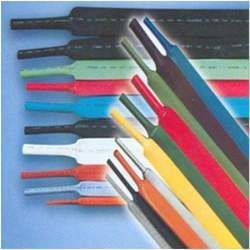 The range of Heat Shrinkable Sleeves offered by us are at par with international quality standards.